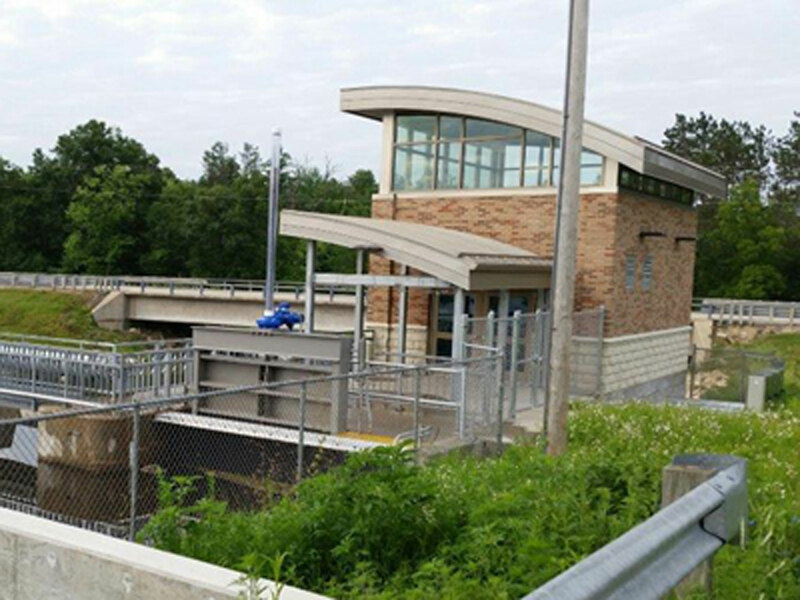 Wisconsin has a long history with hydropower: the first hydroelectric power plant began operating here in Appleton, Wisconsin in 1882. 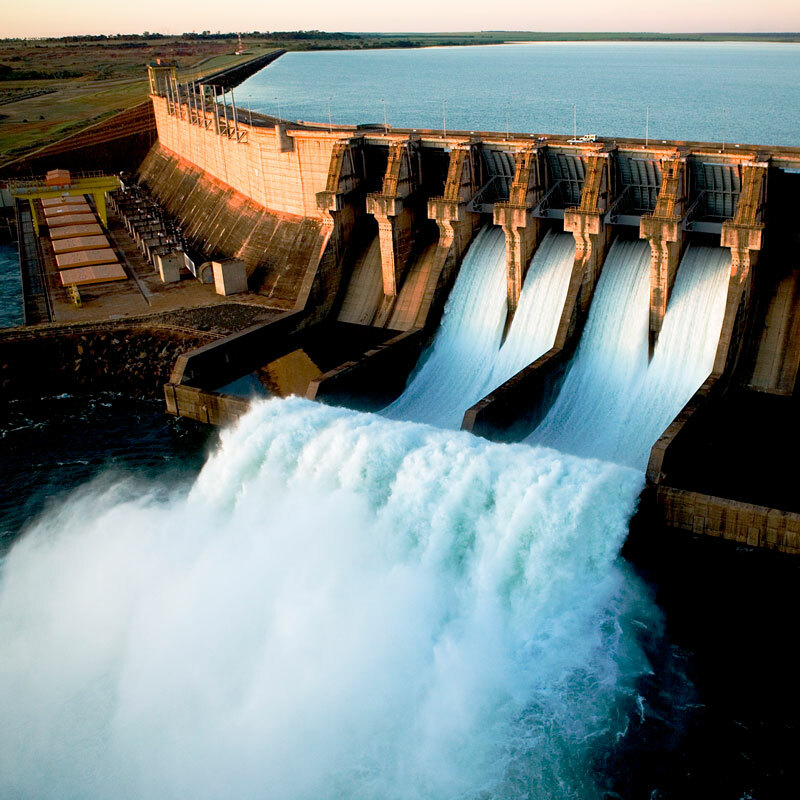 A lot of hydropower production was built in the early 1900s through the 1970s, and its contribution to our electric generating capacity, about 4.1%, has remained fairly steady since then. 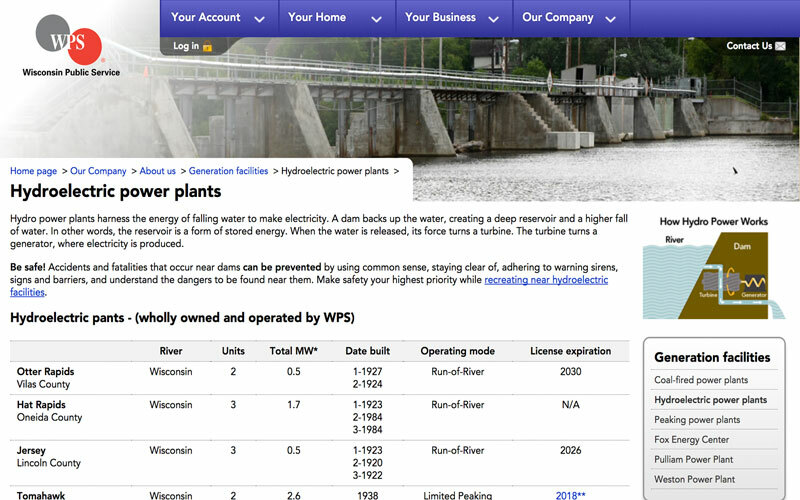 Hydropower was the first renewable energy resource in Wisconsin, and is still an important part of our energy mix. 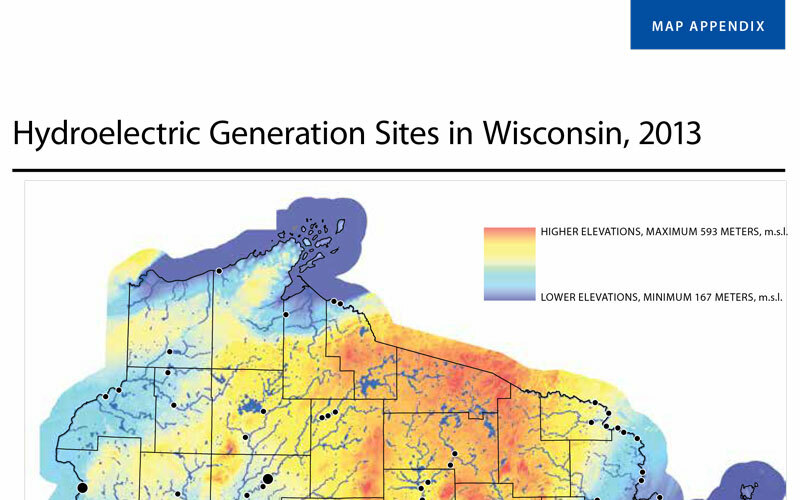 Our work to create a renewable portfolio standard in 1999 and expand it in 2006 created more benefits and markets for Wisconsin hydropower plants. Owned and utilized by Kaukana Utilities, the Badger Hydro Plant began operation in January of 2014. It cost $38 million and replaced 2 older facilities and produces 25% more power than the two combined. The Angelo Dam, located on the La Crosse River near the city of Sparta, first generated energy in 1898 and produced power until 1969. 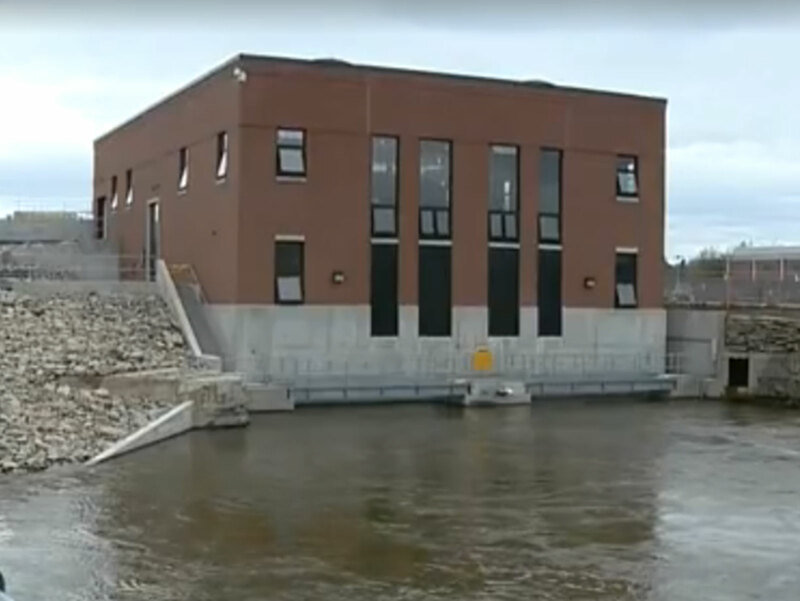 Western Technical College purchased the dam in 2010 and decided to bring the power station back online. 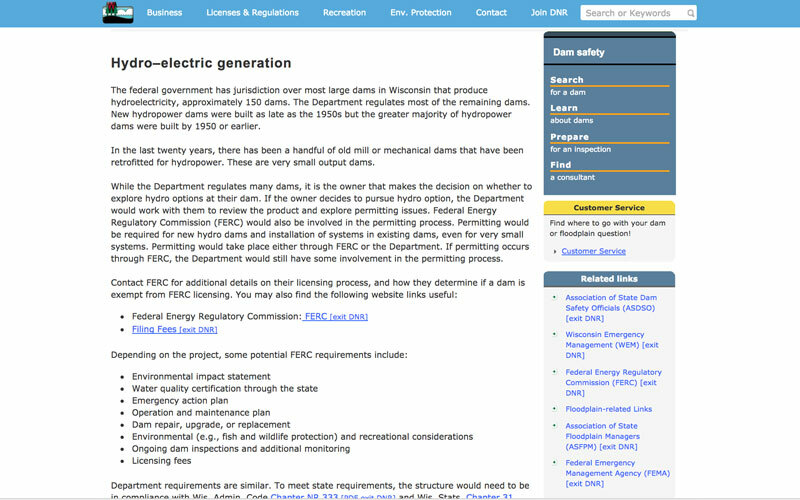 Want to talk about Wisconsin Hydropower?